Wild about Travel: What do you buy an adult plane geek for their Birthday? What do you buy an adult plane geek for their Birthday? 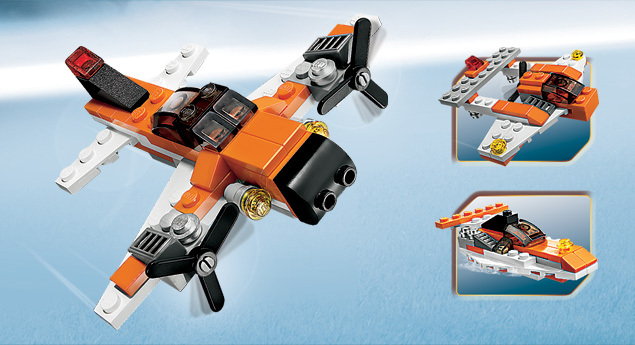 For my friend (and very regular blog reader) Troy, I bought a lego mini plane: Be king of the skies with the super-agile mini plane with spinning propellers! Rebuilds into an ultra-light airplane or sleek speedboat. Comes in a handy reusable storage can. Enjoy- and Happy Birthday mate!